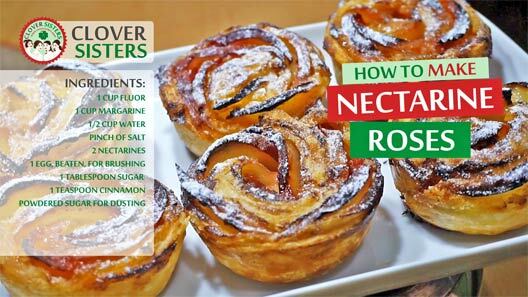 Nectarine roses are without doubt dessert worthy of Queen. They are beautiful, fluffy and delicious. And also easy to make. What a treat! 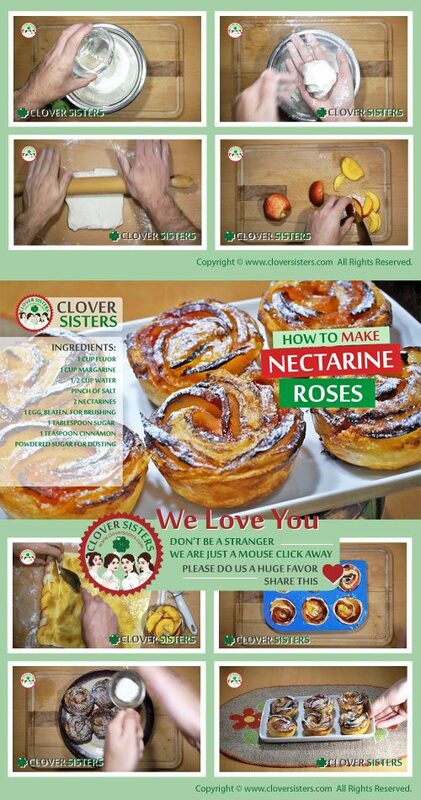 Make pastry easy, following our video instructions. Make sure to work fast with pastry, keeping it cool. Roll the pastry and cut into strips, brush with egg and dust with sugar-cinnamon combination. Lay one layer of nectarine slices, let it overlap. Fold bottom over and roll. Lace them into muffin molds. Bake in oven preheated to 400F (200C) for about 30 – 40 minutes. Dust with icing sugar and cinnamon.